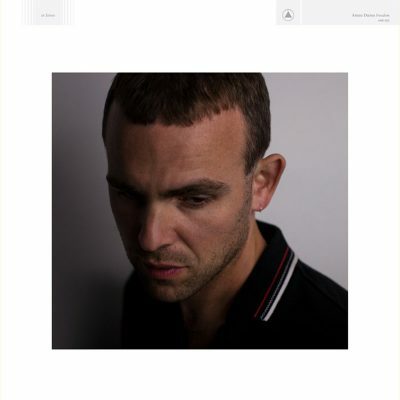 Not being terribly familiar with Amen Dunes’ catalog, nor with any of the work done prior to Damon McMahon adopting that alias in 2006, I chose to review Freedom from the viewpoint of a noob. I made no comparisons. I had no expectations. That approach can be helpful sometimes, especially when one is prone to setting themselves up for disappointment. The album is an eclectic mix of instruments and atmospheric presentation, complete with darker tones hidden beneath lighter synth-riddled hooks and happily struck keys and chords. For the most part, it’s the lyrics that set the gloomier stage—heavier, less straightforward with their strangely painted character portraits of the past. McMahon enlisted the aid of Delicate Steve on guitar and Panoram, from Rome, tinkering with the electronic touches. Chris Coady, of Beach House, also stepped in to do production. All of them, along with regular contributor Parker Kindred, came up with something substantially unique. It is difficult to label Freedom, to pin it down as one type of music or even a specific blend. There are danceable, poppy tunes that bring about smiles, though brief once the reality of the lyrics sets in. The album also contains interesting surf funk, if that could be a thing. I think I’m referring to slower tracks with dense basslines that sound oddly—though not out of place—beachy. Again, great vibes, music that conjures movement, head nodding, toe tapping, wrapping the steering wheel. But again, the haunting lyrics don’t quite match the positive senses the music provides. I thoroughly enjoyed several tracks from the album, playing them on repeat for the ride home. “Blue Rose,” the project’s first song, is one of its standouts. The subtle bongo beats are immediately catchy, but they become a part of something that lingers, a pulse that remains present for the duration of not only the song but the entire album. “Miki Dora,” the album’s first single found neatly tucked right in the middle, is also unforgettable, at least for a spell. Miki Dora was a surfer and a movie star in the ’60s. He got in trouble and became washed up. The lyrics portray the sad process nicely, with lines like, “Pride destroyed the man / I didn’t know the deal,” and “Catch the next wave, Miki Dora / The waves they are gone.” I, of course, don’t know the personal reference McMahon is tapping into, or if there even is one, but I was left to contemplate life and pride each time the song faded out. “Skipping School,” “LA” and “Freedom” are all good tracks as well, systematically spaced out at perfect intervals, giving me something to look forward to while diving into songs that weren’t immediately appealing to me. The song I favor the most, though, is “Believe.” It could be the best representation of what the entire LP is. It builds slowly, through some old-timey-sounding, solidly strummed guitar, into what has to be the most soul-filled offering Freedom has. To me, it sounds like it hurts McMahon a little to deliver it. His authenticity is unquestionable; his voice is vulnerable yet unwavering. This one will end up on several of my playlists, no doubt.